There are new frameworks of understanding emerging that can help us. The first is the distinction between weather and the climate. Weather and weather patterns occur naturally and changes are largely understood. Climate, in a broader definition, includes not just the weather, but also all the biological systems that make up what supports life on earth. Climate change, by this definition, is the balance of all these, the underpinnings of life itself. When you add in human developments such as the economy and political systems, you have all the requirements for man to live on earth. The economy as a whole and in each nation and local area are part of the larger climate. Humankind needs the natural systems as well as those man created, as co-creators with God of our political and economic systems. Fertilizers, pesticides and other agricultural chemical inputs raise yields and benefit everyone. However, they have a negative impact. The continued use and degradation of the land itself causes their use to increase and the runoffs into the water systems cause significant damage downstream. The Susquehanna Water Commission is an example of a regional solution to measure and maintain the water quality of the large watershed that ultimately empties into the Chesapeake Bay. This includes controlling the agricultural runoffs, water quality issues caused by nuclear energy plants, shale production, and sewage from cities in a huge area covering parts of New York, Pennsylvania and Maryland. The water quality of the Chesapeake Bay and Washington, DC, area are directly impacted by the activities controlled in the states of New York and Pennsylvania. There are examples of this kind of environmental degradation throughout the world. Understanding the root of this issue is essential, even if the solutions in any given area may vary. CO2 emissions are only one metric to observe in the overall scheme of climate change. No country owns the oceans. Maintenance of the health of the ocean in all facets is the responsibility of all nations, perhaps facilitated by the UN or a similar agreement like the Paris Climate Accords. We surely can agree that raw sewage and excess agricultural chemicals should be a global issue. There are already treaties to manage the fisheries from over-fishing. Diversity means the health of all the bio systems that human life depends upon. Approximately 25% of medicines used today are taken from or modeled on chemicals found in plants, animals, or other living things. Preserving biodiversity often is a classic tension between immediate economic opportunities and long-term ones. There is also a classic tension between maintaining large areas undeveloped, such as the Amazon Basin, wilderness in North America, and grazing, mining and recreational use of public lands in North America. With the expansion of the use of oil-based agricultural chemicals for fertilizer, insecticides and fungicides, the productivity of agriculture in the U.S. and other First World countries spread worldwide. This rise in productivity has proven to be a blessing and a bane. Rising yields allowed the adoption of larger monoculture farming. Crops became commodities and farming as a local business has become more precarious, subject to the worldwide pricing and selling of crops as commodities. The continuous farming using these methods has also had an environmental effect on the land and the communities they support. Less and less food is produced locally and local populations in the Third World that used to be self-sufficient in food production are now not. We need to consider that over a billion people today heat and cook using wood and have no access to electricity. Their use of wood causes them to deforest the land. Deforestation, overuse of fragile agricultural land and changing climates or climate disruption has all led to desertification. In a very insightful analysis in Popular Science, potable water is a key limiting factor in the overall health and economic development of many areas of the world. It is a clear planetary boundary that must be addressed. To understand this, you only need to consider the Colorado River. If Colorado and even Utah kept all or even a little more of the water flow that originates in the Rocky Mountains of Colorado, the cities of Phoenix and Los Angeles would immediately face a crisis. Water, as a resource must be available locally. Life and any economy cannot develop without a reliable source. As a resource, this may be a factor that limits development in specific areas. Fossil fuels are what has driven the industrial economy for 150 years and in large part still does. Is this supply inexhaustible? Of course not. What then is the transition from this to solar and other renewable sources? Natural gas is already starting to replace coal for the generation of electricity. Public utilities and large publicly traded companies have a difficult time thinking and acting beyond their stock price and governments are ill-equipped to make efficient market decisions. The revolution in the energy sector needs to be driven from the ground up, or the demand side. Energy from the sun produces the magic of photosynthesis and also is the only source of energy that is sustainable. We need to change to more sustainable sources of energy, while knowing that over one billion people need to convert to using electricity. Maybe they can go directly to solar, on a local basis. We should encourage and support this. While countries such as Somalia, Sudan, Ethiopia, Nigeria, India, China, and the Philippines are bursting at the seams with people, there are countries in the European Union as well as Japan that are not replacing their populations. They face a different crisis, but a crisis nonetheless. The tragedies being played out as refugees flee not just war, but economic collapse, is part of the overall issue of sustainable communities, ones that can live in a specific biosphere and location and support themselves economically. The point where demographics of a given area or region meet or exceed the above metrics will determine its ability to thrive in a sustainable manner and within the boundaries of a healthy climate. Systems thinking aids us in thinking in new ways about complex ideas, such as climate change. Science provides us with a process of understanding the physical universe. Unfolding observations and discoveries become accepted facts and worldviews. Religion and spirituality provide a moral compass of what is true and right. I believe science supports the broad outlines of climate change, but perhaps not what to do about it. Religion provides us with a moral and ethical direction, which is essential, but can’t really supply us with the tools to resolve how to set boundaries that lie within the limits of the biospheres of our planet. Systems thinking can help supply these tools. What will help us is the development of Systems Thinking. In his book, The Necessary Revolution, Peter M. Senge of MIT outlines this. He believes the difference between random initiatives that add up to little and a revolution that can transform society itself boils down to a shift in thinking. A sustainable world, too, will only be possible by thinking differently. While the ethics and teachings of faith leaders helps us set the direction and goal of a more sustainable world, Systems Thinking and the work of people like Senge, who also authored The Fifth Discipline, help us with the tools to grapple with the complex issues that climate change requires. Systems Thinking: A conceptual framework, a body of knowledge and tools that has been developed over the past 50 years, to make the full patterns (of interaction and relationships) clearer, and to help us see how to change them effectively. Personal Mastery: The discipline of continually clarifying and deepening our personal vision, of focusing our energies, of developing patience, and of seeing reality objectively. Mental Models: The discipline of working with mental models starts with turning our mirror inward; learning to unearth our internal pictures of the world, to bring them to the surface and hold them rigorously to scrutiny. Building a Shared Vision: The practice of shared vision involves the skills of unearthing shared “pictures of the future” that foster genuine commitment and enrollment rather than compliance. In mastering this discipline, leaders learn how counterproductive it is to try to dictate a vision, no matter how heartfelt. Team Learning: When teams are truly learning, not only are they producing extraordinary results, but the individual members are growing more rapidly than could have occurred otherwise. Rob Sayre met the Unification movement in 1973, was blessed in the 1982 Madison Square Garden Blessing of 2,075 couples, and has three children and five grandchildren. 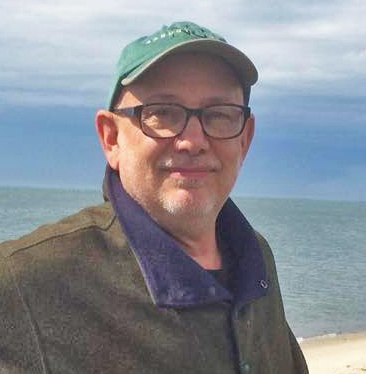 He helped start Paragon House Publishers as its first CFO and went on to work at Rodale Press, publishers of Men’s Health and Prevention magazines, as business manager for its $260 million book publishing division. He and his wife, Sally West Sayre (UTS Class of 1981), are one of the founding couples of the Shehaqua Ministries in Pennsylvania, an independent ministry still thriving after 23 years. Excellent analysis and framework for rethinking the “climate debate.” May it find wide consideration. Thanks. The two books I referenced are excellent resources. But one question remains: Does Mother Moon ascribe to the concept of human-made global warming? From what I have seen, this is not clear. It is clear that she is very concerned about human pollution of the environment (a different issue). There are many views on the issue of human-made global warming within the Unification Movement for sure, but I do not think Mother Moon has been explicit on this. I would be interested to hear if anyone has an exact quote from her teachings on this. I am not sure what she has said on this issue. If Mother thinks A or B, it is interesting. But I think it is at least as important what we think and do as sons and daughters of God and True Parents. It is we who must also become owners, of ourselves, our family, nation and world. It might be good to have an environmental conference on these issues — reminiscent of ICUS. I will suggest this at our WRIST conference this summer (World Research Institute for Science and Technology, started by Father in 1984). They were looking for a PhD candidate who could attend the convention. I’m afraid I can’t provide further details, perhaps someone else can. You make a most important point that climate change and the sustainability of human life are complex and that the use of single metrics reveals both ignorance of the nature of the ecosystem and often belies political and economic motives. Using single metrics often causes more problems than getting them fixed. Fifty years ago, simple weather models used a few metrics and they were still highly unreliable. Today, thousands of data points go into weather forecasting, and the more complex the model, the more accurate it can be. With just one variable, CO2, related to warming and ocean rise, the forecasts have been worse than those old weather predictions. That is no reason for outright rejection. It might be theft to risk other people’s money through CO2 taxes at this point, but more modelling and information gathering can tell us how much humans are impacting the climate compared to solar cycles and other factors humans cannot control. 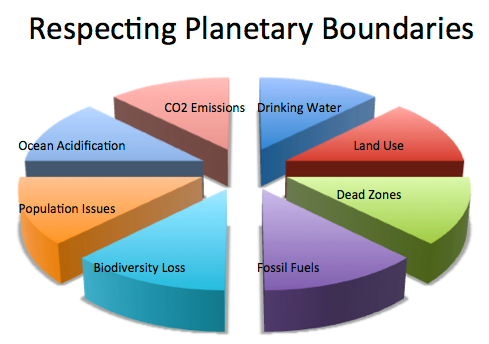 There are other issues also to consider that might make a larger impact on the sustainability of human life than CO2. Take, for example, the widespread use of antibiotics and flushing of medicines used for chemotherapy into drinking water systems that are not designed to filter them. They are causing changes in the bacteria in our intestines such that they do not digest food properly and contribute to obesity and other health problems. When we hear politicians talk about one variable like CO2 without putting it in a wider context, it is almost a certainty that they are being pushed by a special interest, often for financial reasons on one political side or the other, and not looking at our world’s ecosystem as a whole. Only recently I read the Paris Climate Accord, that has caused so much uproar. In reality, it is aimed at collecting $100 billion per year to address the CO2 issue. With a billion people still using wood and dung to heat and many of those same areas with potable drinking water insecurity, I would like to see that money and more addressing those issues. Many of these areas are ones where refugees are fleeing and arriving in Europe. No walls, or other policies will keep them out. If all the political energies and scientific research could be focused on boundaries like these, I think a lot could be accomplished. I had not thought about medicines being dumped into our water systems, but this also is a boundary to understand. In Pennsylvania where I live, fracking to tap natural gas has a potential side effect that is similar. For each well, approximately 3.0 million gallons of water packed with chemicals to aid in the fracking or breaking up of the rock that holds the gas, is forcing millions of gallons to come back up with the gas. The 2.0 million gallons is well below any water table and not an environmental issue, but the 1.0 million gallons that rises has chemicals that our current treatment plants are probably not equipped to handle. I say maybe because those chemicals, by law, have been determined to be trade secrets and thus the public or the government (EPA) is not allowed to know them. This is a regulation that I would argue we want. That is why when the current administration touts eliminating two rules for every new one, I cringe. I am sure many are good decisions, but this is a very crude way of thinking and balancing public health vs business productivity. An interesting and excellent analysis. I’m an adjunct professor of physics and astronomy in Livermore, California. The climate issue is very complex, and is only one part of bigger and even more important environmental issues. As described below, temperature is rising, primarily due to the rise of CO2 concentrations; however, the rate of change of the global temperature anomaly predicted by climate researchers seems to be off from satellite data by a factor of three. When figuring relative error, that’s a 200% difference from the known value. If my lab students had this result, I would likely fail them on that exercise. I’d tell them, their model calculation, or model concept is likely wrong. We learn in scientific method 101 it is the model, not the data, that must be re-evaluated once the data has been confirmed to be accurate. Unfortunately (also as described below), there is a strong stigma associated with following the scientific method in climate science, because to do yields results that conflict with the dogma of a politicized scientific community and their true belief in the models rather than data. Troublingly, original data is often sacrificed, or “adjusted,” to match the models (just Google “climate-gate” and “adjustments to the temperature record”) rather than the other way around. At the same time, I’m afraid the climate researchers’ (and politicians’) obsession with the temperature change draws focus away from something else that really is alarming and truly deserving of possibly greater attention — the great dying of species that is going on. According to recent data, we have a rate of species dying on the order of the great dying of the Permian period, and a reduction of insect biomass by 75% in the last 30 years or so. This inevitably impacts our survivability as a species, along with every other living thing on earth. It is doubtful that such effects are due to climate change — climate has been much warmer in the past, largely cooling for the last 60 million years or so without significant extinctions, oscillating between ice ages and warming periods attributable not to CO2 change, but to oscillations in the earth’s axis and obliquity of its orbit. The dying is more likely due to our failure to take proper dominion: chemicals/plastics in the environment due to industrialization (e.g., toxic waste and pollutants), habitat restrictions/land use, and modern agriculture (pesticides). This issue must be addressed — immediately and with urgency. On the climate issue, it is extraordinarily complex, and has made monkeys out of famous climate scientists. Over time politicization of the issue has, I’m afraid, caused many scientists to go astray, and even led to what I believe are erroneous “adjustments” (always upward over time) to land-based temperature records (held by NOAA/NASA) which, if in error, undermine the integrity of the scientific process. The political poles have on the one side most of the climate research community plus people like Al Gore and others who believe warming is happening and primarily human-caused (often branded “alarmists” by skeptics), and the “skeptics” (often derisively termed “deniers”) on the other side which include Richard Lindzen (MIT) and Roy Spencer (formerly NASA, now University of Alabama Huntsville [UAH]) and carbon-based industries that have an obvious financial stake in the debate. The political left uses climate alarm as a wedge issue to frighten people to commit to vast governmental regulation which empowers big money and big government interests by feeding at the “Carbon Tax” income stream. The political right uses skeptical arguments to indeed, seemingly, deny that warming is either happening, or that it is not so harmful as many claim. Yet, despite peer-group, career survival and political pressures, there still is good research going on. I think it is clear that warming has been happening — ever since about 1690 or so which was the bottom of the “little ice age.” We’ve been warming ever since, although anecdotal evidence would indicate it was warmer at the peak of the medieval warming maximum (about 900-1000 AD) when the Vikings inhabited a green land, and wine was grown in England and higher altitudes in Germany. And we are getting closer and closer to those temperatures today. The question is whether the temperature and its changes are natural or man-made. Historical rates of temperature change prior to the mid-late 1800’s, i.e., prior to a carbon-driven industrial age, occur at much lower rates — 0.1degC to 0.3 degC per century with some exceptions — compared to the current rate of about 1 degC per century (as per UAH satellite data). So, it is very likely that rising CO2 concentrations (now dramatically above historical peaks of the last million years or so) is in large part the cause. But the science is not settled yet (despite the claims of many climate researchers). This is because the “consensus” or average of predictions don’t generally match our best data — e.g., satellite measurements. The late Jules Charney of MIT — one of the icons in the history of meteorology — led a 1979 research team which concluded that a doubling of CO2 should produce both direct (“dry”) and feedback (“wet”) effects resulting in a total of 3 degC global temperature change — a number which reflects a high sensitivity of climate to CO2 concentration. The “dry” (or “no feedbback”) number is close to 1 degC. That means for every one part change due to CO2 change directly, two more parts will be added due to other effects including “wet” or “feedback” effects according to Charney, et.al. Climate researchers using modern computer modelling techniques much like those used in weather forecasting tend to yield results close to the 3 degC doubling number. However, the UAH data show a change roughly one-third of the theoretical values above — about 0.42 degC as measured over the last 40 years which comes out to about 1.1 degC per century (contrasted with the 3 degC per century prediction above). During this time, CO2 has increased from 333 ppm to 405 ppm to yield a “dry” prediction of only 0.31 degC for that time period, or 0.78 degC per century. This implies a couple of things: first, most of the effect of warming (about 75%) is accounted for by the dry CO2 effect alone; but second, it also implies that for every one part of dry CO2 effect, only one-third part is added by wet CO2 (feedback) or other natural effects. This is only one-sixth the predicted amount from Charney or the consensus of modeling results. This is a very big error in sensitivity; Lindzen and Spencer contend this is due to the failure to incorporate the effect of clouds correctly in the models. I would tend to agree. Thanks for this further insight. Yes, this issue has been seriously politicized, and certain scientists have purposely skewed data in order to advance ideological agenda and keep grant funding flowing. This can be seem as being decidedly un-scientific. As you say, “Troublingly, original data is often sacrificed, or ‘adjusted,’ to match the models (just Google ‘climate-gate’ and ‘adjustments to the temperature record’) rather than the other way around.” Science should be about letting evidence provide the path toward understanding, rather than trying to prove (or disprove) certain paradigms. I think you would find these two books very insightful (see Amazon links in my article). Mother Moon has articulated her concerns about environmental concerns on numerous occasions. In Korea there is a continual problem of “fine dust” from China that wafts over Korea on a regular basis. On certain days, it’s especially bad and you can see a kind of yellowish film that obscures the blue sky. So, may I conclude that CO2 concentrations have risen recently (the last 400 years) above historical averages and yet only 1/3 of that rise may be attributed to man’s increased activity? By activity I mean fossil fuels. I’m sorry…it seems my thoughts need to be expressed a lot clearer than they were in my previous post. The “1/3” issue has to do with the “sensitivity” of climate to CO2 feedback mechanisms, not directly with the CO2 concentration itself. CO2 concentrations have risen dramatically in the last 100 or so years (Google it and look at graphs). Those measurements at Mauna Loa are very reliable and easy to make. The graph is “going to the moon.” Historical peaks just under 300ppm have occurred periodically, with the period being ~ 100,000 years corresponding to warm periods between ice ages. We are over 400ppm now, which is unprecedented within the recent geological past. CO2 peaks are highly correlated with warming peaks, but CO2 peaks lag by a barely discernible amount on a 500,000 year graph (but the lag is maybe tens of thousands of years). This lag is largely due, I think, to CO2 concentrations being in the “object” position to temperature change, largely responding (being driven by) temperature simply from its solubility in the oceans and ice; to wit, the oceans give up CO2 when its warmer, absorb more CO2 when colder. The lag time is due, I think, to those large masses being slow to come to chemical equilibrium with the atmosphere which can shift quickly as mixing happens fast in a gas, the ocean being deep and stratified, the ice being solid. But CO2 concentrations can drive (be “subject” over) temperature change too. The dry CO2 effect is the “no feedback” greenhouse effect contributed by CO2 which is purely radiative in nature. It results in a temperature change over an interval of time that is proportional to the natural lag of the ratio of the CO2 over the endpoints of that interval, the proportionality constant being 1.59 deg C. That is where the famous “1 deg C per CO2 doubling” number comes from. 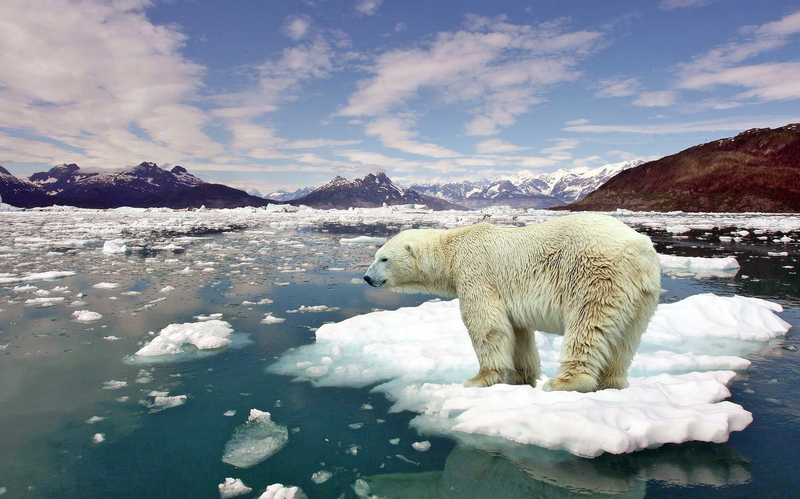 But, there are other causes that drive temperature change, some related to the feedback of CO2 driving; for example, CO2 levels increase, the atmosphere warms, causing more evaporation from the oceans that gives rise to more greenhouse effect (from water — positive feedback), but more clouds (negative feedback), and warming tends to reduce ice coverage, causing less reflectivity (albedo) and more absorption (more melting) and more warming (positive feedback), and there are ocean oscillations (e.g., Pacific Decadal Oscillation related to El Nino and La Nina) that affect temperature, thus absorptivity and radiance, etc. … and so on. What I was attempting to say in the post was that beyond the “dry” or “no feedback” CO2 driver of temperature change, “other effects” which include CO2 feedback (“wet” effects because the consequent temperature change drives water vapor concentrations — an even bigger greenhouse gas than CO2) constitute what is commonly known as “climate sensitivity.” It is understanding the latter that has been said to be the “holy grail” of climate research. These sensitivity effects are a factor of 2x the dry effect in modeling and Charney, et. al., but seem to be only about (1/3)x the dry effect by inference from satellite data. That is, the “sensitivity” of climate to CO2 change is only about (1/6) of the simulation result averages and the Charney, et. al., results; models don’t match the data, so the models are wrong. And I believe Lindzen and Spencer have good insights as to why the models are wrong — models only “parameterize” cloud effects, not directly simulate them, thereby failing to model the cloud feedback mechanisms correctly. These effects are are critical to greenhouse re-radiation and albedo, the former dominating earth’s radiative efficiency, the latter dominating the solar forcing of climate. So, to miss cloud effects (which are really hard to model and may not be completely understood — which is exactly why they are “fudged in” or parameterized) can really introduce huge systematic errors. It’s like you get the fine scratches out of the wood on the table you built, but the legs are both crooked and different lengths so the whole table is hardly useful until fixed. In this way, the models are pathological in their implications in that they mislead rather than inform when clouds are not correctly factored in. So again, the factor of “1/3” issue has to do with the “sensitivity” of climate to CO2 feedback … this is much less than the factor of “2” sensitivity predicted by simulations and Charney, et. al. Well-researched and thought-filled article. The resulting conversation is also very helpful and a model of how to respond to the climate concerns that have emerged. Thank you all. Warming is just one component of a larger problem of our relationship with the environment. Two of the critical issues for me are touched on here and by Andrew. These are that we seem to be on the verge of a mass extinction, and that many millions of people could be displaced from their homes just given currently observed rates of environmental change. Increasing sea level is only part of the problem. There are also shifting ecosystems and increasing desertification. Loss of agricultural sustainability due to desertification is considered part, perhaps the tipping point, of the instability in Syria that has led to major refugee problems around the world — and that was only one small country. While we absolutely need scientific, political, and economic components to a solution, of which reducing carbon dioxide is a necessary component, I really believe we also need a revolution in how we internally relate to creation. My personal buzzword of the moment is cooperation not dominion. Cooperation with nature, not dominion of it. I hope ICUS can find a way to address the internal component, too. P.S. I believe that the systems approach is the way to go, too. Thanks, David, for sharing Sun Jin Moon’s words and the link. Do you know what the plans for ICUS are going forward? There is an ICUS conference planned for February 23-24 in Korea. I will probably be going. I believe the plan is for a conference at least every other year. ICUS is now also part of a larger organization: HJIFUS (Hyo-Jeong International Foundation for the Unity of the Sciences). Mother is restructuring many of these organizations, including the Unification Thought Institute, under the Hyo-Jeong umbrella. Thanks, David. I worked for ICF, the International Cultural Foundation, from 1982-84 mostly on the ICUS conferences and then helped launch Paragon House Publishers until 1988. It sounds like this is being recreated. I am glad to hear it. Just a point on sea-level rises in the “Cheongpyeong” quote. Depending upon what data set you believe, the original temperature anomaly data or the (highly questionable) “adjusted” data sets, the temperature rise from 1900-2000 was roughly 0.4 deg C or 1 deg C in that century, respectively, during which the sea-level rise had a rate of about 1.7mm/yr. This yields 17cm or about half a foot in a century. More recent UAH-satellite data show about 0.5 deg C in 40 years (1.2-1.3 deg C per century — note that the rate does increase significantly from 0.4 deg C per century, which is concerning, unless one is satisfied by the “adjusted” data, which personally I am not). As one would expect, the rate of sea-level rise has also increased during the 50 years before 2012 according to the Union of Concerned Scientists — to an average of about a foot per century. So, at twice the rate of sea-level rise we’d expect maybe a little more than another half foot in half the time, i.e., by 2050. So to say “the oceans will rise more than 6 meters or 20 ft by 2050 at the current pace” … that’s just nonsense. I don’t know exactly where that statement originated, but it seems to mirror some of the worst of the alarmist claims and certainly doesn’t help the source’s cause. On other hand, ocean/bay front cities and communities do need to plan, but they should plan based on evidenced-based science (i.e., facts and some reasonable extrapolation into the future almost always do better than forecasts based upon computational or other theoretical forecasts in this most difficult field of climate science where so many infamous climate claims are shown over even a short time to be way overblown). And another factor about the rise of sea levels: The oceans rising is not like we might envision, like a bathtub filling up evenly globally. The oceans are separated by continents in some cases, restricted in others, and have differing currents. The city of Miami and many Florida cities are already planning to spend to combat rising sea levels. The causes are: ice melt from Greenland and Antarctica, an expanding ocean, a slowing Gulf stream, and the land itself sinking. Thanks, Rob, for this great article. I did not know that the Paris Climate Accord aims to reduce worldwide temperature by 2°C. Right now, we need a solution to raise these frigid temperatures — we are seeing snow in areas that have not experienced it in years. Although no particular weather instance confers direct information on climate as the latter is a cumulative effect over decades, it is true that warmer global temperatures are expected to reduce the temperature differential between the tropics and the poles. This differential is what drives weather patterns through a series of jet streams, and the jet streams determine storm paths, cold and warm regions over time. This reduced differential will tend to support, on the average less zonal (east-west) flow with more north-south meandering jet streams. Certain large scale atmospheric waves called Rossby waves form the context for these jet streams, and their wave-number, often at 4 cycles around the globe, can become 5 cycles around the globe if the jets meander more. This can produce marked departures from normal; e.g., cold and snow in the U.S. south, extreme storms up the East Coast, and Western drought. These meandering waves are in part driven by the loss of sea ice in the Bering Sea, and that loss of sea ice is due to warmer temperatures. It doesn’t take much in temperature variation – we’ve only seen a degree centigrade or so increase in temperature in the last 100 years, but it might have something to do with differences in weather that occur more on average over time. But again, as Rob says, it should be emphasized climate is a statistical and long-term phenomenon, and really only at least multiple decade trends should be thought of as indicative of anything in terms of climate. Your comment is very instructive, Andrew. So, in a broad sense the increased temperatures do have an influence on the jet stream and these have an effect upon the weather. In particular extremes in weather. I am learning a lot from this discussion. You are welcome, Charles. My recommendation is to keep up with the news and a have good pair of gloves, a scarf and hat to keep warm. And remember weather and climate issues are different. I think it is appropriate to call the sea-level rise statement nonsense. Thank you, Andrew Combs, for speaking out the obvious, and my respect to Gordon, Henri and those who seem to have studied the matter. Theology is what theologians write -– science is what people with an academic degree (or some without or with a hastily conferred one) publish. Scientists are not born sinless and don’t invest their own money in their studies but our taxes or the bequeathed riches of (guilt-ridden) rich people. As it is much easier to get money if you scare people, they do so and frankly admit it, and they speak openly about compromising “scientific integrity” for the assumed higher purpose of “saving the climate.” Climate science has a bad reputation among its peers, and I think that should be understandable by those who look at it with an open mind and the BS-detector turned on. Rob Sayre mentioned that he worked for Rodale Press. Maybe he should have read more of their products and not seemingly the output of the left-wing Union of Concerned Scientists. The Climate Scare may now be officially the way of the “anti-capitalist, anti-imperialist”-minded, having replaced the stale class-war idea, but nobody needs to feel compelled to believe or accept it; after all, the many billions of dollars have not yielded any firm theory, just hypotheses, “projections” and bad ad-hoc statistics. The Climate Delusion seems to actually be a symptom of morale-less people’s irresponsibility. Instead of living naturally and keeping their environment weather-proof, clean, healthy and livable, they are looking for scape-goats to burden them with the consequences of their wasteful egoistic lives; no wonder that they employ the Climate Scare to deflect attention from themselves – and even gain financially from it. Just another note on sea-levels: According to the NOAA page, sea levels have risen about 25 cm over the last 130 years … this is reasonable. One can estimate the sea level rise as follows: the fractional change of depth is the thermal expansion coefficient x the temperature change. Almost all the temperature change of about 1 deg C in this time period is felt in just the top couple of km of ocean (colder water sinks and stays down). So, the fractional change should be about 100 x 10^-6 x 1 degC = 1 x 10^-4, then the actual change in m is 2km (= 2000m) x 10^-4 or about 20 cm. To get this more accurately requires incorporating how the thermal expansion coefficient changes with pressure (thus depth) — but it wouldn’t change by all that much. Alarmists want to claim that the change will be meters or something in 50 years (or 6 meters I think was quoted by a commenter from a Cheongpyeong source). That’s maybe 10 to 30 times what one should expect. And that’s too bad – such crazy claims just erode a source’s credibility – that is why I (and many others) have doubted results asserted by climate scientists who themselves also make many silly claims. But, make no mistake, the climate is warming — by UAH satellite data (our best type of data yet) and based on the last 40 yrs it is about 1.2 degC per century — at the very high end of rates which historically been closer to one tenth that (although shorter term like the extreme warming into the medieval warming maximum rates are just a little less or comparable to now). And also, make no mistake, from 70-90% of that is due to the “dry” CO2 greenhouse warming effect alone according to well known radiative transfer calculations using “line by line” spectroscopic data for infrared absorption (“dry” means not including feedbacks — the poor modeling of feedbacks, especially cloud effects, are the main problem with the current theoretical understanding and resulting over-estimates of computationally predicted warming by factors of 2-3 or more leading to many silly climate claims by researchers — if they truly understood and believed in the scientific method of comparing model results to accurate unbiased and unpoliticized data and looking at error vs. uncertainty they would be much much slower to make those claims, or they would never make those claims at all, favoring a “back to the old drawing board” reaction instead). Rob Sayre also correctly pointed out that the sea level rise is different in different places, as there may be some subsidence of ocean floors if there is more water (melting) — although that is not due directly to the expansion (the mass is the same, just the density is less), and different places warm differently having more or less temperature through their respective depths. But I wouldn’t be too disparaging of using the change in the temperature anomaly as a proxy for climate change, as long as one keeps in mind there are multitudinous phenomenon due to human actions involved as Rob so eloquently described in his original note. Indeed, many human effects are having catastrophic effects on the living species on earth (e.g., 75% reduction in insect biomass I think has been reported … species extinction occurring at rates greater than the great dying of the Permian era), and we should not be distracted from these truly critical issues by warming or sea level rise phenomena which relatively speaking, are side shows — important to coastal city planners no doubt, but side shows nonetheless. As far as what the motivations of Mother Moon might be, I do not know and that is not central to my article, nor is any religious viewpoint for that matter. As far as Rodale Press is concerned, you might not know, but they published the book by Al Gore, Truth to Power: An Inconvient Sequel. The company in general had a very environmentally friendly viewpoint, but was primarily a very focused marketing enterprise that published magazines and books. The company was recently sold to Hearst.